Next steps for Cairngorms Local Development Plan – have your say! 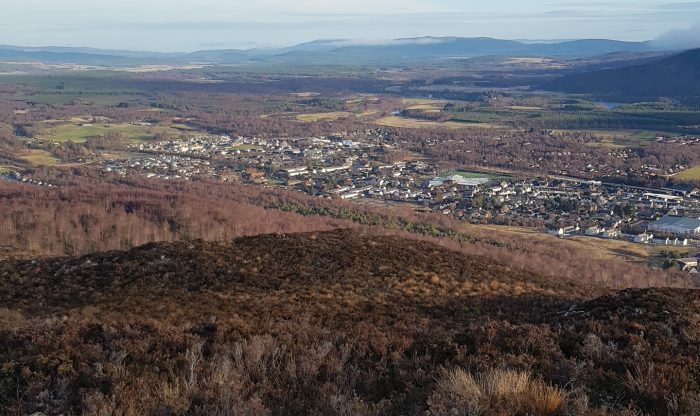 Ensuring sufficient land for housing, jobs and services while protecting the environment is a challenge anywhere – particularly in a National Park – but the Cairngorms National Park Authority (CNPA) are confident that the next Local Development Plan (LDP) for the area will do all that. The consultation on the Proposed LDP 2020 begins tomorrow (Friday 25 January) for a period of ten weeks. With a mix of traditional and innovative ways of getting involved – from interactive story boards to fly through maps – taking part in the consultation is set to be easy for everyone. To get to this stage in the process, the CNPA has gathered evidence since the current LDP was adopted in 2015 and has undertook a Main Issues Report consultation in 2017/18 that sought the public’s views on what big issues the next Local Development Plan should address and what the options might be for tackling them. You can view all the documents concerning the Proposed LDP 2020 online here, at the CNPA’s offices in Grantown-on-Spey or Ballater, or any library or council office within the Cairngorms National Park. You can also comment online or complete a response form and email it to [email protected] or post it back the CNPA at FREEPOST NAT 21454, Grantown-on-Spey, PH26 3BR. All comments must be received by 5pm on Friday 5 April. Following the consultation period, all responses will be collated and assessed before the Proposed LDP and all the consultation responses are sent to Scottish Ministers and subject to an Examination by an independent Planning Reporter. You can keep up to date with the consultation online and via the CNPA’s social media channels via @cairngormsnews.